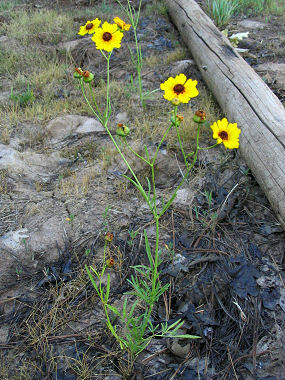 Calliopsis is a member of the Sunflower Family. The plant grows to 3 feet in height and has dark green, linear leaves with 2 - 3 lobes that grow to 4 inches in length. The plant typically grows along roads and in moist fields. 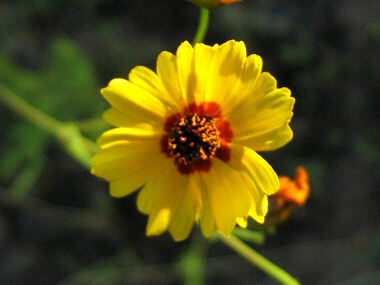 Calliopsis is also known as Goldenwaves and tickseed. Calliopsis blooms between June - September and produces a yellow flower with a reddish brown base which grows to 1.25 inches in width.